Watching my makeup garden bloom before my very eyes has proven to be emotional. For years I've been cultivating; each brush has a story, a birthplace and a special spot in my heart. And then I happened upon Zoeva, a one stop shop which helps to pretty our faces. Pretty Shiny Sparkly discusses the Rose Gold Luxury Set. Perfect for the newbie. Sharon the Makeup Artist enticed me to buy the Luxe Complete Set. Love her accent, btw. The Luxe Complete set features 15 brushes - five face brushes and ten eye brushes snuggled away in a handy black leatherette pouch with contrasting fuchsia pink grosgrain lining. The face brushes are by far my favourite. Soft work horses with a magnetic attraction to the powders and foundations I use on a regular basis. 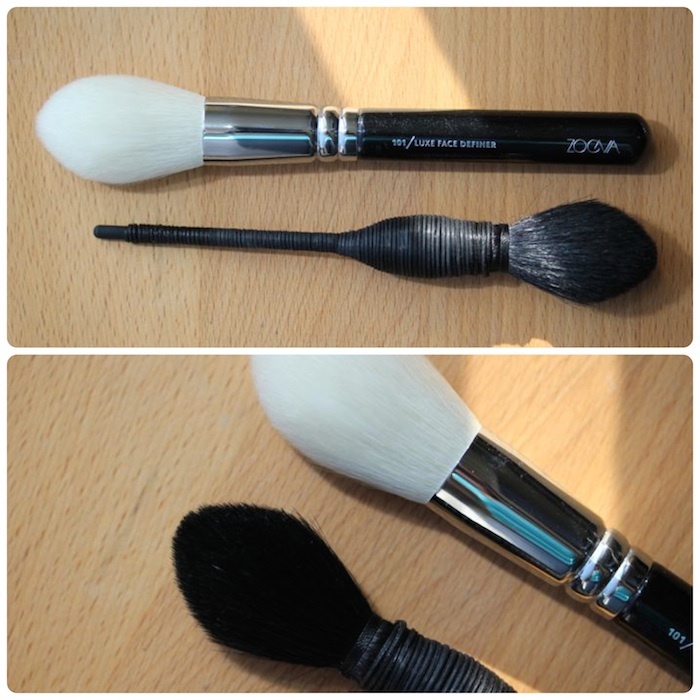 Nary a struggle, these makeup brushes truly make applying makeup swift and effortless. A special shout out to the Luxe Face Definer's multi-tasking abilities; I use this baby to contour on most days, but it can also highlight or blur finishing powder with the best of them. Did I mention soft? So soft. The selection of eye brushes is overwhelming. Blend, buff, shade, line, define, smudge, smoke, intensify. Repeat. If only these brushes came with a built-in makeup artist, it would totally make applying eye makeup so much easier. An artist I am not, just a mere mortal attempting a cut crease or a cat eye flick. That said, these brushes give me a glimmer of hope. Another soft bunch. The road ahead is filled with endless possibilities. Here's a side by side visual comparison of some of the brushes from my handpicked collection versus several brushes from the Luxe Complete Set. One caveat to note, you will experience a small amount of shedding during the first week or two of use. 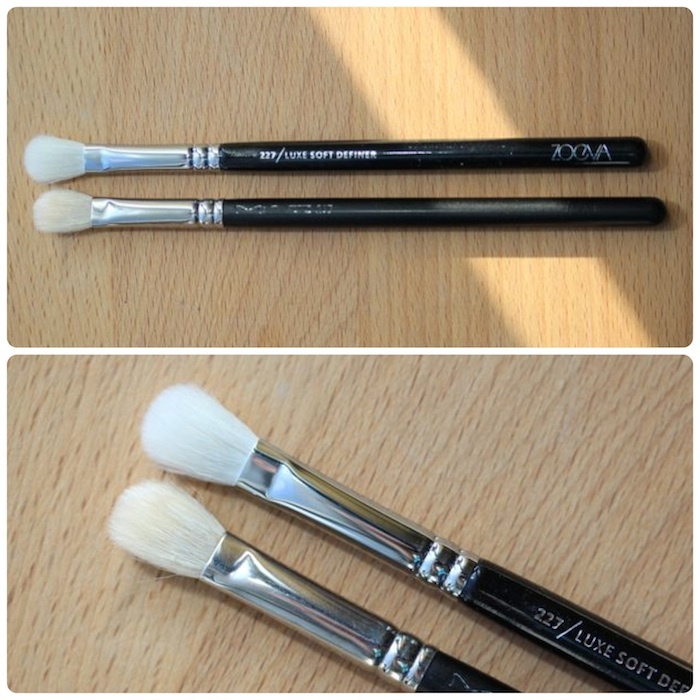 Aesthetically these brushes aren't too dissimilar from Sigma or MAC, but I appreciate Zoeva's affordability, selection and ultimately their philosophy. Not only are you getting quality brushes, but you're also paying it forward to women in need. Visit Zoeva's website to find out more. 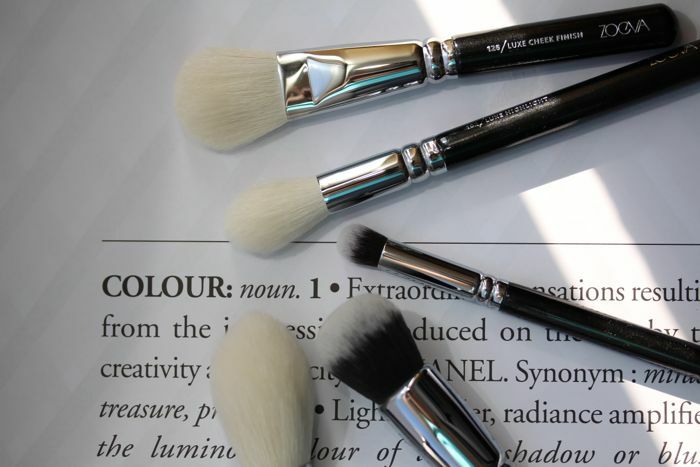 As it goes with cookies, shoes, purses and lipstick, you can never only have just one makeup brush. 10 out of 10 bags — It's like that dream when P-Cakes set me free in a Sanrio shop with all the monies in the world and then we went to Disney Land. I also picked up a lip brush and a smudger. You know, cookies, brushes, etc.